BEAUTIFUL HOME IN BAHAMA SHORES – Amazing Opportunity! – Great Location! – Begin your mornings with a short stroll to the private neighborhood-owned waterfront park and watch the rising sun reflect off of the Sunshine Skyway Bridge. Your new home is situated on a large lot with mature landscaping amidst a very quaint and secluded setting. A spacious and open garden area, canopied by a magnificent Poinciana tree, provides a wonderful and private outdoor space for relaxing, grilling, or simply enjoying time with friends and family. This three-bedroom home showcases bright natural light and an inviting openness with extraordinary warmth, character, and many features of original charm that include original marble flooring, large fireplace, exceptional closet space and more. 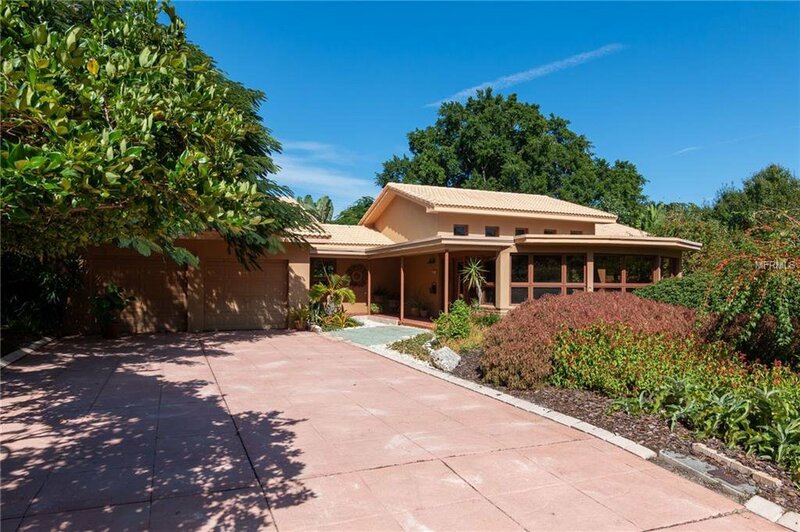 A hidden gem in one of St Pete’s finest neighborhoods, this historic and classic Bahama Shores ranch home was constructed in 1947. This spectacular property offers the most amazing master suite boasting lots of natural light, with French doors offering direct access to the private courtyard. This home has exceptional storage throughout. Bahama Shores is one of St Petersburg’s most sought after neighborhoods, and offers convenient access to our award-winning Gulf Beaches, vibrant Downtown St.Petersburg, USF, The Medical Center, and all of the new and exciting developments of The Skyway Marina District. Buyer will receive three months free membership to the St Petersburg Country Club *courtesy of the listing agent. Listing courtesy of NEXTHOME GULF COAST. Selling Office: RE/MAX METRO.